Each order contains enough seder plate items for four (4) people to complete the steps of the seder! All orders must be submitted by Wednesday, April 17th and will be available for pick-up on Friday, April 19th. 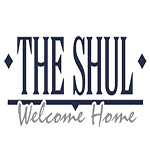 Don't forget, you can order your Shmurah Matzah here! To read more about the Passover Seder Plate, please click here.